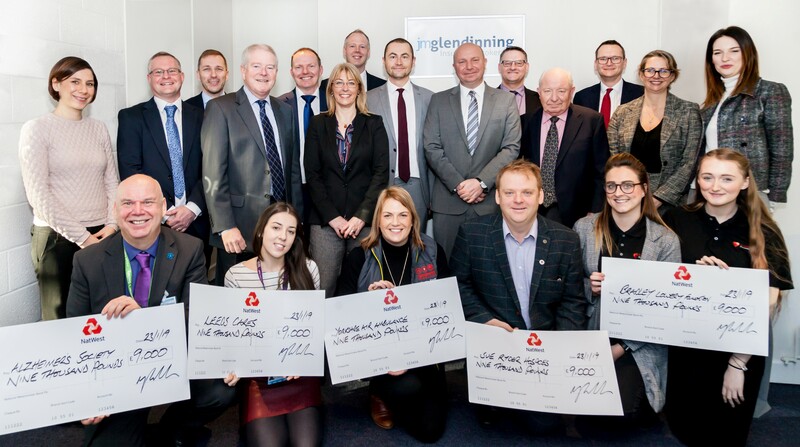 JM Glendinning group has hit its charity fundraising target of £45k, raised during its 45th anniversary year. 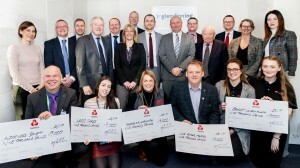 The group, which employs 135 people across six offices in Yorkshire, the North East and Midlands, has raised a total of £45,274 throughout 2018, which has been shared between five selected charities. Representatives from Alzheimer’s Society; the Leeds Cancer Centre appeal; Yorkshire Air Ambulance; Sue Ryder Wheatfields and Manorlands hospices; and Bradley Lowery Foundation met with the JM Glendinning fundraising team this week to receive the donations. The charities were chosen by employees as the areas in which the charities work have affected people close to them and some have supported loved ones at times when most needed. Events included a charity golf day; a black-tie ball; charity go-karting and tenpin bowling. A number of staff also opted for salary sacrifice for dress-down Fridays, others arranged quiz nights and bake-offs and some set themselves physical challenges. In addition, David Fryer and Jane Haddon from the York office completed a 282-mile cycling challenge from France to the UK as part of the Pedal 4 Pounds challenge to raise money towards the group fundraising initiative.